Remain in complete control over who has access to certain areas of your property. We’ll help you pick the best type for your needs and your budget! For years, building security meant a set of keys and a few durable locks. Eventually, alarm systems appeared on the market, but nothing is quite as secure as access control systems. 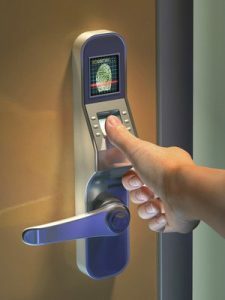 An access control system can be situated throughout your property and requires people to present some form of identification through a password, PIN code, biometric scan, etc… before they can enter the building or a designated area. If you don’t have the credentials, you’re not getting in. It’s as simple as that. And yet, many businesses have yet to utilize this high-security system, preferring old-fashioned systems that are more prone to hacking and breakage. In today’s modern world, why take the risk? We have a technology available that makes offices, homes, and buildings more secure than ever. And with affordable prices, anyone can invest in a reliable, secure system that wards off criminals and keeps your Houston Texas business safe. Ready For An Upgrade For Your Business Security? Are you looking to upgrade your security? 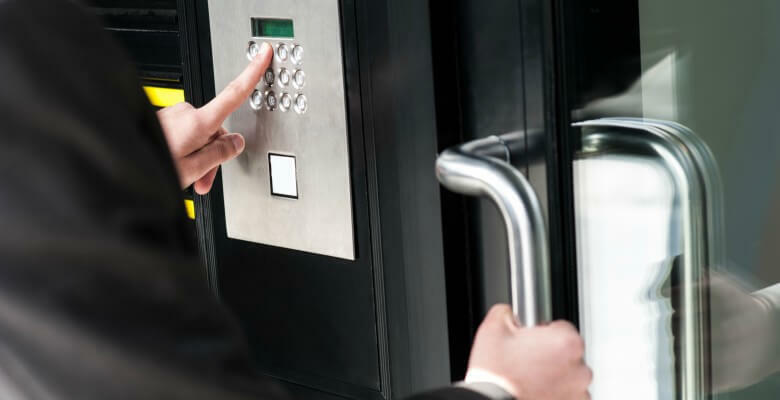 If so, Houston Locksmith Pros provides repair and installation services for access control systems. With our team of trained experts, we’re committed to providing the best 24-hour commercial locksmith services in Texas. Fast response times: If your access control system was damaged, we know that you can’t afford to sit and wait around. We’ll be there in thirty minutes or less. 24/7 availability: No need to wait days or even weeks for our services. We’re here whenever you need us. Reliability: We’re fully insured, licensed, and bonded, making Houston Locksmith Pros a team that you can count on. Direct, up-front pricing: No hidden fees or charges, with us, you’ll know exactly what you’re getting. Need access control installation? We provide full installation services that will make your building safe and secure. And in the event of an attempted robbery, we provide access control repair services to get your system back up and running again. We understand that security is a top priority for any business. We’re here to help you deliver the best security to your employees, with a trained team of experts backed by years of knowledge and experience. And if you need additional services, we specialize in just about every field. Key replacement, car lockouts, lock repair, whatever emergency locksmith services you need, we’re happy to provide. It’s this commitment to our work that helps us provide some of the best 24-hour services in the area. If you’re ready to give us a try, we’re waiting to take your call. Looking For Locksmith Services In Houston? When you need a commercial technician, we’re available twenty-four hours a day, seven days a week. Contact us at any time. At Houston Locksmith Pros, we’re dedicated to providing you with the best service possible. When you need a locksmith, don’t hesitate to give us a call. Your security is our business and we’re prepared to give you the high-quality security that you won’t find anywhere else.